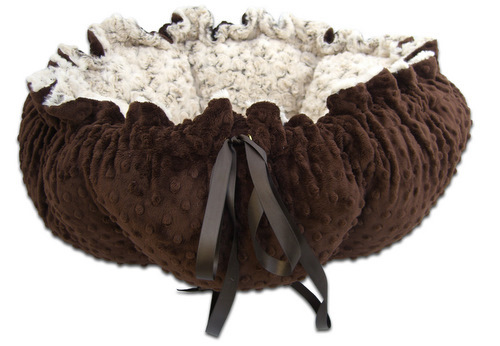 Jilly Bean's Doggie Boutique Giveaway! Jilly Bean's is owned by a mother daughter team, Jill and Lianna. Jill is a wife and mother, who raises Imperial Shih Tzus. Lianna is married and owns a Siberian Husky. They live 4 states apart, yet run this boutique together. Jilly Bean's chooses a dog of the month each month. If your dog is chosen you will receive a $25 gift certificate to use at Jilly Bean's Doggie Boutique. What a great idea! You can visit here to find out more. 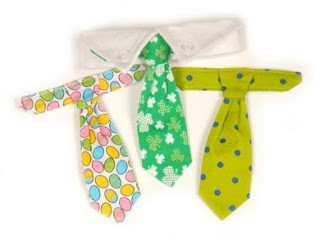 Bow Ties, Scarves, Hair Bows and Cute Tags. 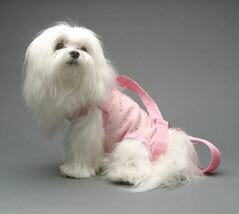 Doggie Clothing-Dresses, Sweaters, Tanks, Vests and Jackets. Jilly Bean's is offering A $25 gift certificate for their Doggie Boutique to the winner of this giveaway. 4. Tweet about this giveaway. Leave a comment with the link. 1 tweet per day. 1 comment per day. 5. Do a post regarding this giveaway. Leave a comment with a link. 2 entries, so 2 comments. Disclaimer: I received no monetary compensation for this post. I did not receive anything for review purposes. All quotes are from the Jilly Bean's Doggie Boutique website or email. All thoughts and opinions are mine. Here is a unique opportunity brought to me by Social Moms and Mars Needs Moms. What would my children miss most if I were abducted by aliens. Here are some tings I think they would miss if mom suddenly disappeared without any explanation. 1. They would miss having someone short around to pick on. (And I am talking nice teasing, not being mean.) You know like, "Mom, do you need help reaching the counter?" They love to tease me about being short! Since all but two have outgrown me I get a lot of short jokes! I mean imagine if they suddenly became the shortest person in the house because mom was abducted. Maybe I would get the chance to be the tallest! 2. They would miss having me home school them. You know, when I have to enforce memory work, or that math problems must be done on time. Along with the great field trips that get planned, like zoos, museums, civil war sites, etc. And of course music lessons! They would really miss those! No more guitar or piano, or practice singing! We love to sing together as a family and often sing in the vehicle on trips. It would be awful quiet without me to egg them on! 3. They would definitely miss game night! We have game night every Friday and they love to stay up late and have snacks and play games. Especially the ones they win. Like my son almost always wins at Monopoly, but when it comes to Scrabble they may not miss me too much! No more mom telling them, that is not a real word and someone else would win. 4. Baking times! We love to bake together, and I think they might miss that a lot. They all love baking days! Cookies, cakes, muffins, and other special desserts. We work together in the kitchen, and then we all get to enjoy it together. I think they would miss this a lot. 5. They would also miss mom making them pick up their bedroom! I mean who doesn't want mom coming in right before they head out to play and telling them they have to clean their bedroom first. This is one I know they would miss. 6. They would also miss playing racquetball together. It has become quite a competition between us. You never know who will come out ahead. I may be short, but I can still whip some of them at racquetball! 7. Dinner time. They would definitely miss the meals! Especially the boys. They would have to survive on fast foods and microwave meals! Just kidding! They have all had lessons in the kitchen, but I still think they would miss mom there directing everything! 8. I think they would miss having to try new foods. You know the ones they look at and wrinkle their nose. They have to at least try them. And you have to chew and swallow. No putting it in your mouth taking a big gulp of drink and swallowing it whole. I want you to taste it. 9. They would miss mom reminding them to do things. You know, like; brush your teeth, close the door, get your elbows off the table, walk the dog, etc. I mean imagine how they would feel if I was not there to give them guidance throughout their day. 10. And of course they would miss mom using them as guinea pigs for her blog posts. Can you try this and tell me if you like the flavor? Would you let me take your picture wearing this new shirt? Did you like the new toothpaste? They really are a blessing and I know i would miss them, so I hope they would miss me! Not just the funny things or difficult things, but the fun times. Reading at night, playing together, and just being a close knit family! Thanks Social Moms for this opportunity! I wrote this blog post while participating in the SocialMoms blogging program, for a gift card worth $25. Gorton's Seafood Review and Giveaway! Welcome aboard! Beautiful day today! Soon we will be heading back north, but today is short sleeve weather out At the Fence. Glad you were able to stop by and hear all about the Gorton's Seafood we were able to try recently. Now I have to fess up here, I am not a "big" fish fan, but my family is. I personally love shrimp! So, when I was able to get 3 Gorton's products I chose Crunchy Golden Popcorn Shrimp, Garlic Butter Grilled Fillets, and Lemon Herb Crunchy Breaded Fish Fillets. We prepared some of all three so that everyone got what they wanted. With a family of eight we came close to finishing all three in one night! The rest were gone the next day! My daughters and husband shared the Garlic Butter Grilled Fillets. Everyone said they were great! They were nice and moist and tasted delicious according to them. The Lemon Herb Crunchy Breaded Fish Fillets went just as fast! This was my husband's favorite! And of course I had Crunchy Golden Popcorn Shrimp! They were really good! Unfortunately, I had to share. Wait till you see the pictures and tell me if they don't make you want some Gorton's Seafood. Neighbors, Gorton's even has a recipe page where you can look recipes up by which product you have chosen or lowfat and healthy, 30 minutes or less and they even have kid's picks. Eating fish and seafood is healthy and now Gorton's shows you different recipes to use to make it easier to eat seafood more often. I know my family would eat it 3-4 times a week if they could! Garlic Butter Grilled Fillets over Parmesan Rice will be a recipe we will be trying! Also neighbors, if you become a fan on Facebook you will find out Gorton's lastest promotions and giveaways! And let me tell you, they have quite a bit going on there! You can also sign up for their email newsletter! The great news is Gortons is allowing At the Fence to choose 5 winners to receive 2 free product coupons each! So the winner will get to choose which Gorton's product they would like to try. Disclaimer: I received no monetary compensation for this post. I received 3 Gorton's Seafood Products for review purposes. All quotes are from the Gorton's website or email. All thoughts and opinions are mine. Great to see you out and about this morning! I wanted to tell you about Statements Salon hair care products. I received two different lines, one the Thicken and the other the Quench. Both are part of the Color Retention System with Strand Guard. Pam Brooks, owner of two salons in Cincinnati, Ohio, and a stylist and colorist with 33 years of experience, released a new line of color retention products infused with StrandGuard Complex. Brooks began by testing the products she received from a private label lab on her unsuspecting clients. She then developed her own formula. The most important part of the equation is the StrandGuard Complex, as it protects hair from effects of aging and is sulfate-free. But StrandGuard is not the only unique component. Stabilizers are necessary to break down the molecules, so the hair can absorb the product. Because of improvements in stabilizer technology, Brooks has been able to create a quality product that is both affordable and effective with little expenditure of product. The product has two lines, Quench and Thicken, both with a Sulfate-free Shampoo and a Daily Conditioner. Thicken contains peptides that are proven to swell hair - giving hair substance and volume for fine to medium-textured color-treated hair. In addition there is a Leave-in Protectant and an Intensive Treatment Hair Mask. "The Statements Color Retention System with StrandGuard Complex protects hair from environmental factors that can fade color and cause premature degradation of the hair structure. Powerful UV protectants and natural antioxidants from White Tea enhance color protection. Shea Butter adds a protective moisture barrier to seal the shaft. Hibiscus and Vanilla Cactus help soothe the scalp, which can become dry and irritated from color treatments. Plant Proteins, Sea Silk, and Peptides replenish the strength, resilience and shine of youthful hair. Certified Organic Extracts condition hair and increase shine. Paraben free preservative system." Quench: This is designed for thick, dry or coarse color treated hair. It would also be good for any hair that has become dry from chemicals or heat. 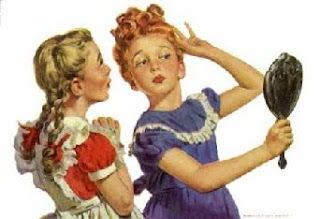 The Daily Condition will help to replenish dry hair. Thicken: The Thicken Shampoo is designed to gently remove dirt and residue as it thickens fine to medium hair. The conditioner is a featherweight conditioner that adds body and resilience through Expansion Technology. I also received an Intensive Treatment Hair Mask. This is to restore the strength, resilience and shine of youthful hair. I would only use the Intensive Treatment Hair Mask once a week unless you felt you needed it more often. You apply to clean damp hair, leave in for 3-5 minutes and then rinse. The Leave In Protectant was included for me to try also. This is to be used after you have cleaned and conditioned your hair. You apply to damp towel dried hair for detangling and shine. Finish styling as normal. Now, I do not have color treated hair, for that matter I have never colored my hair, but these will also work on hair that may have been treated with other chemicals, or just exposed to a lot of heat treatments, like blow dryers, curling irons, flat irons etc. It did leave my hair feeling soft and manageable. One of my daughters enjoys using the Leave in Protectant on a regular basis. One neighbor will win a 1 liter bottle of Shampoo and a 1 liter bottle of Conditioner. Disclaimer: I received no monetary compensation for this post. I received Statements Salon Color Retention System Products for review purposes. All quotes are from the Statements Salon website or email. All thoughts and opinions are mine. I know it is a little early, but I have no guarantee of internet tomorrow, so I am working ahead of schedule! Congratulations ladies! More Happy Healthy Hair Products this week and then a Doggy Days Pet Event will begin! See you At the Fence! So good to be meeting At the Fence again. I sure have missed it! I have a great new hair product for the Happy Healthy Hair Event-Pravana. I had one of my older daughters (24) try Pravana for me as I did not want to try too many different products at one time. She also had her hair permed at about the same time as mine. She really loved the fragrance. She also said it was one of the few sulfate free shampoos that she did not have to double the amount of shampoo she used to get a good lather. The conditioner went on smooth and left her hair soft and manageable. It really feels soft too! "Pravana's Hydrating Shampoo and Conditioner gently cleanse hair, add strength, and provide needed protection. Botanical extracts like jojoba, algae, sunflower and the abroma grandifloriumseed butter infuse dry, depleted hair with vital moisture and shine. Pravana is both Sulfate and Sulfite-Free and cleanses without stripping the hair. It protects hair and color from the damaging effects of the sun." Other Pravana products include:Biojen 9, Keratin Fusion, Pure Light, Volumizing and Color Ensure. Each product is for a certain hair type or condition. I chose the hydrating because my daughter and I both have a tendency to need moisture adding products. She is definitely pleased. I used the Salon Locator and there are 17 salons that carry Pravana within 10 miles. Make sure to check if a salon near you carries the Pravana line. "Our unique brand infuses all shampoos and conditioners with Pravana’s Proprietary Naturceutical Complex™, comprised of nine time-proven Meso-American botanicals known for their therapeutic and healing properties teamed with three different hydrolyzed proteins to enhance hair’s strength, elasticity, and shine from the inside out. Pravana’s Shampoo are exclusively sulfate, sulfite, and salt-free. All Pravana hair care formulas are also free of cocamide DEA and MEA, and contain no phthalates or other hazardous ingredients. We employ no animal testing or animal ingredients in our products." 6 winners will each receive Pravana Hydrating Shampoo and Conditioner. Make sure to like Pravana on Facebook. Disclaimer: I received no monetary compensation for this post. I received Pravana Hydrating Shampoo and Conditioner for review purposes. All quotes are from the Pravana website or email. All thoughts and opinions are mine. Fun Friends Phone and iPod Covers Review and Giveaway! Wait till you see the cute little characters I received. Fun Friends makes the cutest cell phone and iPod covers. My children all want one! I received 3 furry covers for the iPod Classic and 3 gel type covers for the iPod Nano G3. The furry covers are Punky (a really cute pink monkey), Daisy (an adorable cow with a bell), and Sydney (a cuddly Koala bear). Each of these covers has a sturdy clip so you can attach them to a belt loop or purse strap. There is a hole for your charger to plug in. These will work with several other MP3 devices (see description on website). I took pictures of the furry covers with an iPod in them, but not the Nanos as I do not have a Nano. I love sharing products like this with my neighbors At the Fence. The iPod Nano covers are Winnie the Pooh, Eeyore and Tigger. These are sooooo cute! Each one comes with two different color straps with the character's name on them. The cases are made of a rubberized material to provide protection for your Nano. There are also strategically placed holes for the volume, power and handsfree outlet. Along with these products, they also make cell phone covers, both for flip phones and bar phones. The items I received run $9.99 each. You can order them online at Fun Friends. There is a store locator, but I tried up to 200 miles from my zip and could not find a store. Perhaps you will! You can also find them on Facebook. 5 winners will be chosen in this giveaway. I can not guarantee you which one you will win. It will just go in order. Disclaimer: I received no monetary compensation for this post. I received a Fun Friends for review purposes. All quotes are from the Fun Friends website or email. All thoughts and opinions are mine. Head Organics Review and Giveaway! 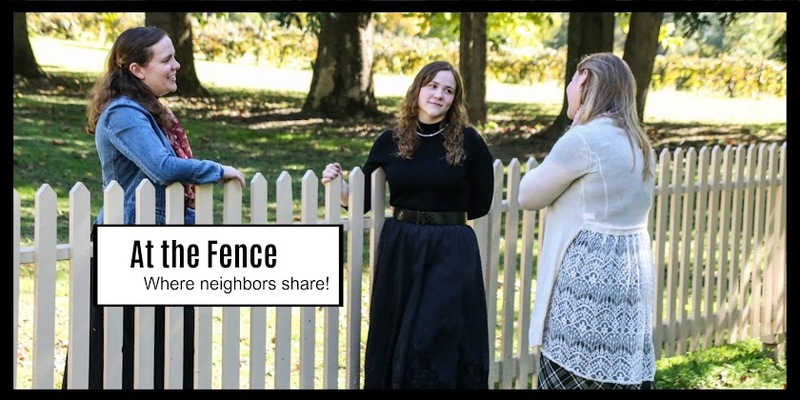 I wanted to stop by At the Fence and take a little time to visit while I told you about another great product in our Happy Healthy Hair Event. Let's sit down and share for awhile, it's been one of those weeks, so I would like to visit some. Head Organics sent me this huge box of their hair care products. I was surprised at how much there was. This large box came filled with Clearly Head Shampoo, Clearly Head Conditioner, Hydrating Shampoo, Leave In Conditioning Spray, Natural Hair Serum, Natural Styling Wax, Extra Hold Mousse, Extra Hold Hair Gel, Extra Hold Hair Spray. Not to mention sample packs to share! Head Organics Products are free of harsh detergents and chemicals to help keep your hair and environment pure and natural. This is a 100% vegan product that is gluten-free. Each product is masterfully blended with naturally derived, certified organic active ingredients, botanical extracts, essential fatty acids, glycerin, vegetable oils, natural proteins and coconut. My son uses the Natural Styling Wax and occasionally the Extra Hold Hair Gel. Although his hair is reasonably short, he combs it to the side. When he doesn't use it for some reason his hair stands on end. His brother does not seem to have that problem. My two daughters, the younger ones (10 and 13), use the Clearly Head Shampoo and Conditioner. It keeps their hair, nice, clean, and shiny. I use the hair spray myself, but also it helps hold the 10 year old's hair in place. She has baby fine hair that constantly flies away and easily looks like she just got out of bed. I like the hydrating shampoo. My hair has a tendency to be dry and I don't use blow driers or curling irons hardly at all. Since I have a perm, I do use the Extra Hold Mousse and Extra Hold Hair Gel. It helps keep my hair from looking frizzy. It also holds it in place, because if I comb it too much, I look like I have a powder puff on my head. My oldest daughter loves using the Natural Hair Serum. Almost every morning she uses a flat iron on her hair, and she uses the Natural Hair Serum to help keep it looking smooth, silky and shiny throughout the day. I have to say that with all the types of products that Head Organics sent, almost all of my family gets use out of at least one of the products. You can find Head Organics on Facebook and Twitter where you can keep up with new products and specials. One neighbor At the Fence will receive Head Organics for themselves. 7. Like Head Organics on Facebook (Leave a comment that about a product you like and tell them you came from At the Fence). Leave 2 comments letting me know you did. 8. Follow them on Twitter. Leave a comment here letting me know you did. 1 entry. Disclaimer: I received no monetary compensation for this post. I received Head Organics Products for review purposes. All quotes are from the Head Organics website or email. All thoughts and opinions are mine. Apology to all my neighbors! I just want to apologize for this past week. I have only done one post, and I apologize for that. We have been without internet connection because we were on the road. I tried a restaurant known for having wi-fi and it was such a bad connection that after 15 minutes of waiting for a picture to load, I quit. I finally was able to get the post up the next day, but I still had a hard time getting the pictures to load. So, today I have a good connection and I am going to do a post this afternoon and then schedule a couple more posts just in case. Thanks for your understanding. Ziploc Snack Containers Review and Giveaway! Sorry for not getting out At the Fence recently. We have been so busy! I have got to share with you about the Ziploc containers I received. To start with I have the Ziploc Snack bags, 50 count. They are 6 1/2 in by 3 1/4 in. They are the perfect size for 100 calorie snacks. I personally love them because we travel a lot in a shuttle bus, and these are the perfect size to pack little snacks in, that you can pass out to the children throughout the day. You know, snacks like nuts, grapes, cheese chunks, etc. Of course you can also put in the type of snacks my children like to find occasionally; M and M's, chips, etc. I also received their Fresh Portions on the Go Divided Rectangle. The package contains 2 containers with 2 lids. The containers are divided into 3 sections. 1 that is slightly larger than 1/2 of the container, and the left over is divided into one medium size and 1 small size sections. Now, I honestly have to say I could pack an entire lunch for my daughters or myself in one container. Definitely would not work for my teenage sons or husband. They would need larger containers. These are the perfect size to do a salad and then some fruit or light snack in the other 2 sections. Although it is a one piece lid, each compartment seals individually for freshness. Ziploc includes ideas for 100 calorie snacks on the package. They list more on their website. These containers would be great for someone who has recently started a diet or just wishes to cut down on calories. They are freezer, microwave and dishwasher safe. You can defrost and heat in the microwave, just remember to vent. "From exercising, to eating less fast food, to discovering more portion-controlled options— a healthier lifestyle is at the top of the New Year’s Resolution’s checklist for most! To help you and your readers bring in 2011 on a healthier note, Ziploc has partnered with Food Network contributor, cookbook author and nutritionist Robin Miller to provide moms like you with the time and money-saving solutions you’ll need to create healthy and enjoyable meals and snacks for the whole family. Divide and Conquer - Get creative and have fun by allowing the children to divide nuts, fruit, cereal and crackers into different sections before placing them into Ziploc Brand Snack Bags. Also, keep a bounty of healthy snacks inside the home, office and car – having them on hand will help you avoid last-minute temptations at vending machines and convenience stores." You can also follow Ziploc on Facebook for some other great ideas. Plus check out their Ziploc Tip page! The winner of this giveaway will receive the same products I received from Ziploc. Disclaimer: I received no monetary compensation for this post. I received Ziploc products for review purposes. All quotes are from the Ziploc website or email. All thoughts and opinions are mine. Redken Nature's Rescue Line Review and Giveaway! New Happy Healthy Hair event submission. Here is the second line of Redken that I mentioned in my previous post, Nature's Rescue (this is the newest of Redken's Haircare products). I am so impressed by the quality of Redken products. I had my daughter use the Natures Rescue Line (100% free of paraben, sulfate and silicone). It worked really well! I was just going to use her information because I was so satisfied with the results from the Fresh Curls line, I wasn't going to change. Instead after seeing the results, I went ahead and tried it myself. Now, I don't know which one I like better! I received the Refreshing Detox Shampoo, Refining Sea Polish, Cooling Deep Conditioner, and Radiant Sea Spray. I began with the shampoo. I love the fragrance! The refreshing Detox Shampoo lathered great and my hair felt clean and soft after rinsing. I then used the Refining Sea Polish. The Sea Polish is gritty and to be honest feels odd while applying, but the results are fantastic. After working the Refining Sea Polish into my hair and rinsing, you would not believe how soft it felt. I also went ahead and applied the Cooling Deep Conditioner. The Conditioner is like a cream and definitely works well. I was amazed at how easy it was to get the comb through my hair. I usually have to apply a leave in conditioner, but did not have to after using Nature's Rescue. Last after towel drying my hair I used the Radiant Sea Spray. Now, here is an example of how nice these products smell, my 17 year old son asked me what I was wearing because it smelled good! And each time your hair is touched after using the Radiant Sea Spray the time-touch fragrance capsules release a new burst of oceanic scent. You can use this on damp or dry hair, and you can reapply throughout the day if you like. Here is the best part; I can use both the Redken lines. I can use the Fresh Curls line on a daily basis, and then use the Natures Rescue once a week to detox and replenish my hair. Not to mention the great fragrance. Here is a brief description from Redken about each product. Refreshing Detox Shampoo:Sulfate-free, paraben-free, and silicone-free cleanser washes away daily stress by helping eliminate impurities, pollution and buildup. Refining Sea Polish:Gentle exfoliant, enriched with pumice, removes impurities and refines the hair's surface leaving it smooth and shiny. Cooling Deep Conditioner:Ultra moisturizing conditioner helps rebalance hair while cooling and soothing the scalp. Radiant Sea Spray:Lightweight, multi-functional spray adds texture while time-touch fragrance capsules release bursts oceanic scent when hair is touched. Neighbors, this has to be the very best hair care product I have tried. If you are looking around for a new line, or just want to try something different, you should check out what Redken has available. The winner of this giveaway will receive the Nature's Rescue line. Disclaimer: I received no monetary compensation for this post. I received the Nature's Rescue line for review purposes. All quotes are from the Redken website or email. All thoughts and opinions are mine. 100 5" x 7" Postcards from UPrinting Giveaway! Mandy Jane Hair Bows Review and Giveaway! REDKEN Fresh Curls Review and Giveaway!